RxSwift offers a range of operators that provide immense control over how you want to work with the data and events in your application. Transforming operators are used when you want to model the data coming from a sequence to suit your requirements; in other words, prepare the data to match the requirements of a subscriber. We will go through an example of using map in the playground. We will need our helper function, that is, executeProcedure(with description:String, procedure: () -> Void). This function takes two params: a string description and a procedure closure . It then prints the description, followed by the execution of the procedure. 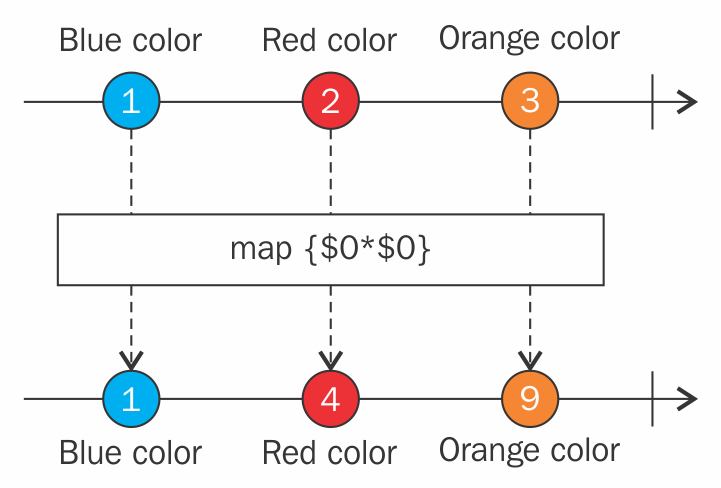 There is also a flatMapLatest operator. This is the one that you want to know about since you will use this operator a lot. 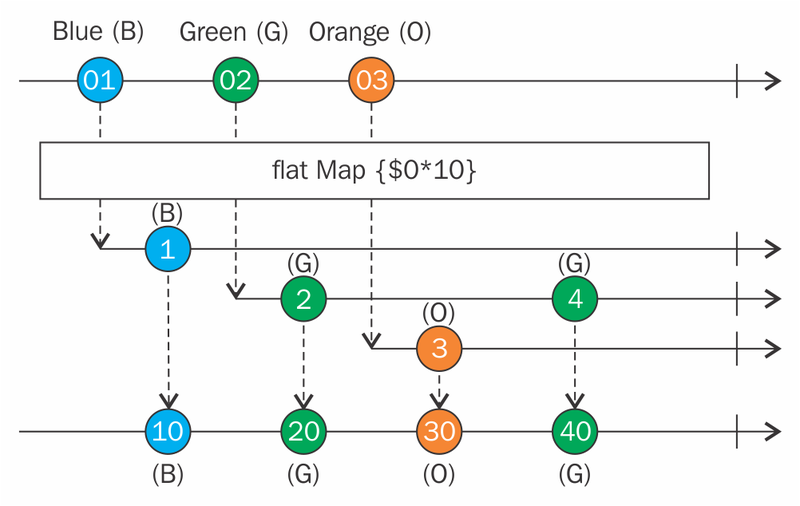 The difference between flatMap and flatMapLatest is that flatMapLatest will only produce elements from the most recent Observable sequence, so as the Observable sequence emits new Observable sequence, flatMapLatest switches to that new Observable sequence and ignores emissions from the previous sequence. flatMapLatest is quite commonly used with asynchronous operations such as networking. 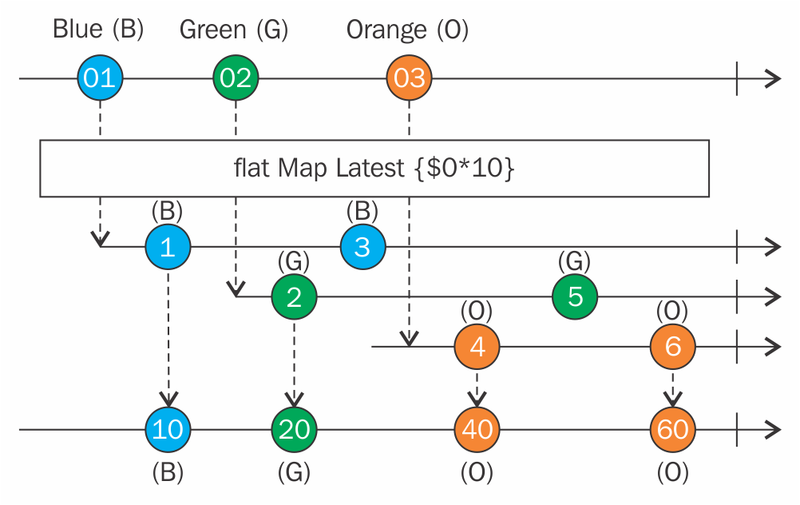 We read about three transforming operators and saw the map operator in action.Now, we will work with flatMap and flatMapLatest and see how we can implement these operators in a code base. Let’s start with flatMap. This is because flatMap does not unsubscribe from the previous sequence. So be watchful while using flatMap. If you use flatMap, you could be keeping a bunch of subscriptions around that you don’t need anymore, and those nextEvent handlers will do things that you don’t mean to do or you no longer want to do. There are a few more transforming operators in RxSwift, and I will cover them in my next blogs.